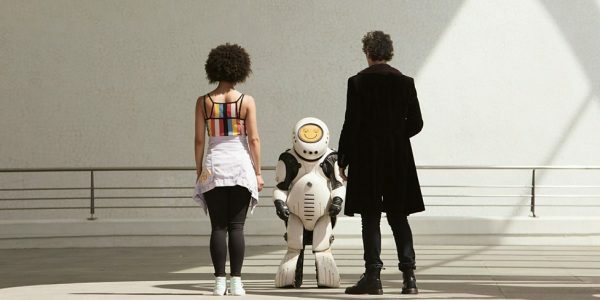 The second episode of Doctor Who's tenth season has a few noticeable hiccups, but is mostly a solid outing in which new companion Bill Potts (Pearl Mackie) really shines. The Doctor takes Bill on her first proper adventure - the pair visit a human colony from the future that's being run by robots that communicate in emoji. Apart from the robots, there's no one around and it doesn't take long before The Doctor and Bill figure out why. The robot caretakers keep track of your mood and if you're not happy, they kill you. It's up to our heroes to figure out why and what to do about it, all the while making sure to never stop smiling. "The Pilot" already made a compelling case for Bill as a companion and "Smile" seals the deal. There's so much to like about her - the wide-eyed curiosity and all around positive energy are a great foil for Capaldi's generally grumpy Doctor, she's not Clara, it's fun to see the familiar milestones of a companion learning about The Doctor and, also, she's not Clara. There was a lot to like about Clara, but the show kept insisting on making her the most important person in The Doctor's life, which was annoying at best and insufferable at worst. So far, Bill is just someone The Doctor really gets along with it and that's just so refreshing. 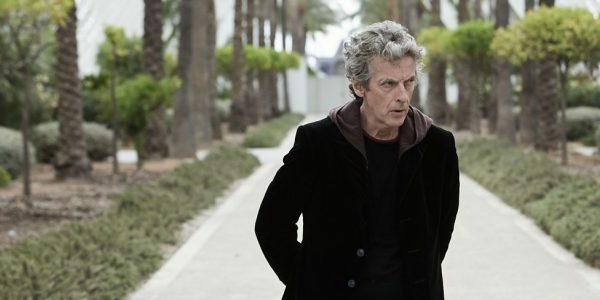 The Doctor and Bill spent a fairly significant part of the episode on their own, exploring the empty city and trying to figure out what's going on, which smartly puts the focus on character building. Bill is still learning the ropes, with some bits making more sense than others. She found out that The Doctor is an alien in "The Pilot," so the two hearts revelation probably shouldn't be as shocking to her as it is in this episode. "Smile" is pretty light on tension. The premise is neat and the emoji bots have a memorable design, but they don't really feel threatening (although they're certainly more menacing than a puddle of water). Plus, how they work is a little confusing. Do they know what someone's mood is or do they guess based on facial expressions? It's not entirely clear. The brisk pace and the focus on character interactions keep this from becoming a real issue. The story makes ample use of a few pretty interesting sci-fi ideas, with the backstory of what made the emoji bots homicidal being a particular highlight. It's clever, but not the Steven-Moffat-really-likes-to-make-your-brain-hurt kind of clever - which in this case is a good thing. Two big problems kind of drag this episode down. The first is a plot hole midway through, as The Doctor apparently forgets that he can use the TARDIS to move around anywhere and everywhere, which could have saved him and Bill a lot of running around a dangerous environment. The second is the plot overload near the very end, with the episode introducing a whole bunch of new elements and rushing to wrap everything up. While the plot more or less adds up, the breakneck pace near the end makes it difficult to get invested in what's going on. Apart from what is essentially a cameo, Nardole (Matt Lucas) is nowhere to be seen. The one scene he has lets us know that The Doctor made an oath to stay on Earth and protect the mystery Vault we saw in "The Pilot," which serves as confirmation that the Vault is part of a season-wide plot thread that will most likely be resolved in the finale. Overall, "Smile" is a solid romp. It's interesting, fun, builds character and can be enjoyed despite a couple of glaring problems. Bill is shaping up to be a solid companion, so much so that it already feels like a shame that this will apparently be Pearl Mackie's only season on the show.